Welcome to Straight Water by Lindyspring! We created Straight Water because we know people want clean, healthy drinking water. We realize in today’s industrialized society that tap water isn't always as healthful as we’d like it to be. We hear it in the news all the time. That’s why at Straight Water we use a process that ensures our customers of the purest, best tasting water & ice you can get! We invite you to stop in and watch the purification process right here in the store! Bring in your own bottles (BYOB) or purchase them from us. Then, fill them up with the best tasting water you've ever had, bar none! One thing our customers love about our set up is our 8 faucet fill station. There's 6 fast flow faucets for large bottles and 2 hand held grips to easily fill those smaller containers. After you clean out the inside of your bottles with our FREE Ozone Bottle Rinse Station, then you can line them up and fill them all at once. 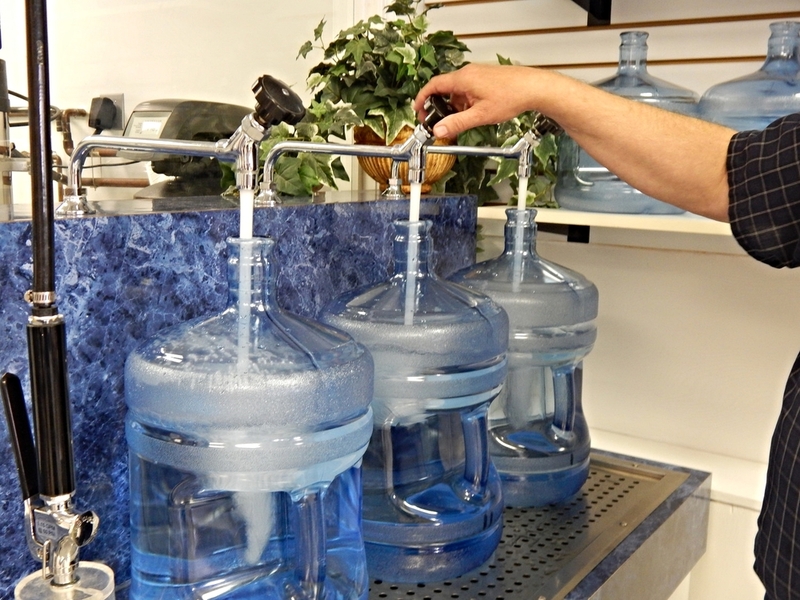 It'll take you no time at all to fill all your bottles with healthy, clean and fresh tasting Straight Water! Did you miss us during business hours? Well, we've got you covered! 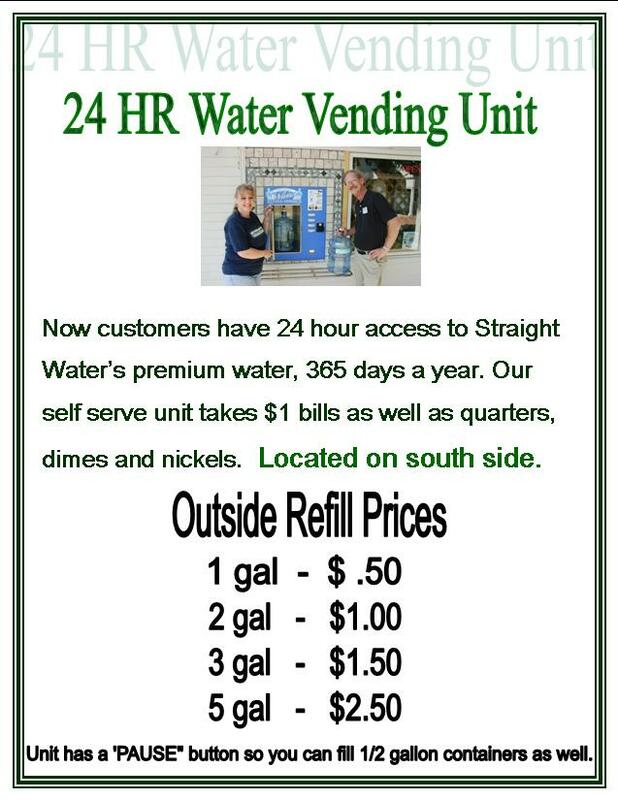 Straight Water is available 24/7 with our outside water refill station located on the south side of the store. It takes dollar bills or coins and will fill up any size container up to 5 gallons. So, now you won't have to go without your delicious Straight Water...EVER! Ever wonder if anything is growing inside those water bottles of yours? Well, worry no more. Give your bottles a good sanitizing bath with our FREE Ozone Rinse. Did you know that ozone is a powerful disinfectant and has been widely used in many applications including food processing? It's also safe with no harmful side effects, unlike chemical sanitizers such as chlorine. You'll always find our store remarkably clean, just like our water!